This article is a comparison of the specifications of the Blackmagic Production Camera 4K (BMPC4K) and Panasonic GH4 cameras, with currently available information. Important: The information is unverified. At least half of it are just rumors. Therefore, don’t take this comparison seriously. Don’t take the prices or the specifications seriously either. Price of Camera body $2,995 $1,699? The list of accessories is based on what’s being shipped with the GH3. The GH4 is cheaper by more than a $1,000. This is excluding the DMW-YAGH interface unit that is rumored to cost $2K! The difference is not insignificant. You would need excellent lenses on the Production Camera. You would need world-class top quality lenses on the GH4. Both of these types of lenses are already available in the marketplace based on still camera resolutions. The ISO range of the GH4 should be at least usable till 6400 ISO, and this would give it a leg up over the Production Camera. On the other hand, due to the larger pixel pitch, in theory, the Production Camera should have lower noise levels. But we’re splitting hairs here. All of these focal lengths are already available (at least with the Metabones Speed Booster), so none of this is a problem for either camera. The difference in crop factors is really not significant, but it will be noticeable in depth of field and bokeh. The GH4 will have the advantage when it comes to the weight of lenses, and its ability to interface with the Metabones Speed Booster. 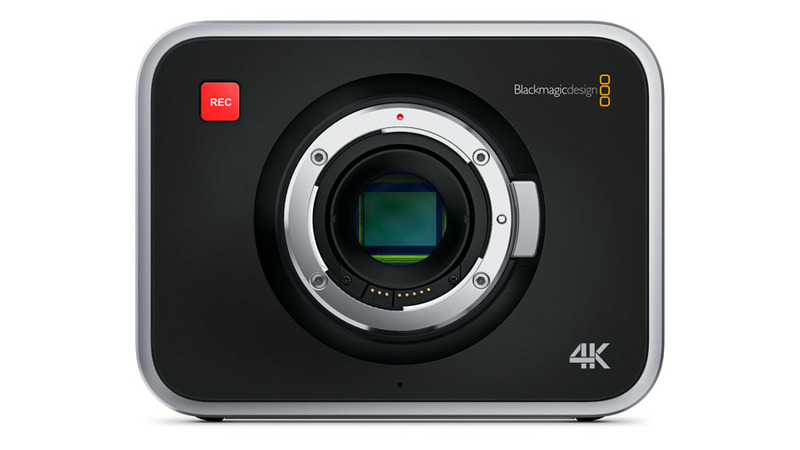 What about Blackmagic Design’s claim that the Production Camera 4K is Super35mm? It’s not entirely accurate, or maybe it is, because nobody knows what Super 35mm is anyway. To compare, a Super 35mm 3-perf frame is 24.89mm x 14mm, with a crop factor of 1.45. The point is, the difference in crop factors between a Production Camera 4K and Super 35mm 3-perf is roughly the same as the difference in crop factors between the Production Camera 4K and the GH4! If the first is okay, the second should be okay too! Nevertheless, the Production Camera 4K does have the larger sensor, and is arguably closer to Super 35mm than the Micro Four Thirds sensor. Secondly, it has a global shutter. Thirdly, it does not demand the best lenses. For these reasons I must say the Production Camera 4K is a more exciting prospect, on paper. *Uncompressed 3840×2160 RAW at 30 fps would have a data rate of about 360 MB/s. The fact that Blackmagic Design claims the codec is ‘visually lossless’ implies that the CinemaDNG compression is indeed lossy. If the Pocket Camera has an approximate compression ration of 2:1, I suspect the Production Camera 4K will have a compression ratio of about 3:1. This will equate it to the compression setting on a Red Epic (3:1 being the smallest setting for Redcode R3D). The data rate at 3:1 would be about 120 MB/s at 30p. Even if you’re shooting Prores, the data rate is 110 MB/s. This would also place it below the 150 MB/s data rate of the BMCC, so you can use the same kinds of SSDs. On the other hand, the best data rate from the GH4 is 100 Mbps at 30p. That’s a lot of compression for 4K. It’s the equivalent of 25 Mbps AVCHD for 1080p! **Some rumors say, due to the global shutter, you lose about 1-2 stops of light. This means you might only end up getting about 10-11 stops instead of 12. ***With an adapter. Limited to 10-bit 4:2:2, uncompressed. In any case, even if the Production Camera 4K ends up with the same dynamic range as the GH4, everything else is simply better. Prores is a much better codec to shoot with, and you don’t need an adapter to monitor video via SDI. I have to give this to the Production Camera 4K. Even though the Production Camera 4K looks okay on paper, the experiences recording audio with it tell a different story. It might be for this reason that no mention is made of the audio specifications on the official specs page. This one goes to the GH4. ^^Thunderbolt can only capture HD video, and not 4K. The Production Camera is the larger and heavier camera, no doubt. It has the bigger LCD touchscreen. On the other hand, its screen is worse than the smaller 3″ OLED screen on the GH4 for outdoors shooting and judgement of color. The LANC port could be an important feature for some users, and so is the Thunderbolt port. Since it cannot output 4K, forget monitoring 4K via it on a laptop. However, you can monitor 1080p, assuming the camera downsamples 4K in real-time. The GH4 works similarly. If you’re recording 4K internally, you can only output 1080p via HDMI. On the other hand, the battery life on the Production Camera is poor to say the least, and you are stuck with an internal battery that cannot be charged separately. For professional shoots, you will be forced to opt for external battery solutions and this will add to the weight of the rig. Depending on your production, this might be a good thing or a bad thing! The GH4 has full weather sealing, which could be important as well. It also has an EVF, but the position makes it impractical for video use. To monitor 4K I’m figuring you’ll need the additional adapter with four 3G-SDI outputs. The question is: How many of them will you need to use and which monitors will be able to read this unconfirmed standard? The Production Camera will shoot on 2.5″ SSDs, and will probably demand the best SSDs. The GH4 will record to UHS Speed Class 3 (U3) SDXC cards. On a cost/GB basis, a fast SDXC card is twice the price of an SSD. In absolute terms though, you’d be spending more on SSDs than SDXC cards. Secondly, you will need a proper battery solution for the Production Camera 4K. On the other hand, you will need to purchase an adapter to get SDI and XLR on the GH4, and who knows how many third-party manufacturers will be ready to supply compatible gear? All in all, I’d say the Production Camera 4K would be more expensive to own and operate, unless you buy the DMW-YAGH interface for the GH4. In that case, it’s neck and neck. Even if you don’t buy the interface, to get the best 4K quality and audio, you’ll need an external recorder and an audio interface. This one’s a draw. Well, if you can live with the cost, the Blackmagic Production Camera 4K looks like the camera to own. The GH4 might offer excellent image quality, but I really can’t see it being much better than 880 Mbps Prores. Even if the image quality is exactly the same, the Production Camera 4K has way more advantages. Don’t agree? Think about it in this way: If you wanted to add any functionality from the GH4 to a Production Camera 4K (except for shooting 16 MP stills), you can, as long as you are ready to pay extra for accessories. On the other hand, the GH4 can never shoot RAW or Prores, even if you were willing to pay for the privilege. JonathanHickman Correct, assuming 1 GB = 1,000 MB. Thanks, I’m learning a lot here. Time to buy you a cup of coffee. So, then, every minute of 4K at 100 Mbps is .75 GB? And an hour of 4K at 100 Mbps is around 45 GB? Okay, so every minute of 4K at 100 Mbps is almost 6GB? Sorry, I have English and Law degrees and, therefore, math challenged. I’m curious if anyone has been able to get the file size per minute on the GH4 at 4K internal. For documentary filmmakers the file size is a big issue because we shoot a lot of interviews and such. Who would want to record audio on a production camera? No camera offers 96kHz or 192kHz audio recording. 48kHz is only for ENG shooting, where audio quality isn’t too important. But if audio is important, there is no way I would ever record in camera on any camera. 96kHz is the minimum for professional quality audio recording. compass2k Goff Guys, this post is being updated and will be republished tomorrow. To answer your question, Goff, Dan is right. The only camera (The Dragon is limited to 100-150 fps between 4K to 6K) I know that fulfills all requirements is the Phantom 4K, but that is also out of your price range (unless you plan to rent it whenever necessary). The FS700 is limited to 4 sec 120 fps burst mode in 4K. The biggest problem is the data rate. Ultra HD uncompressed RAW at 200 fps is 2 GB/s!! Only the Phantom has media (with internal RAM buffer) capable of sustaining that rate, but at short bursts. The Dragon attains some semblance of sanity due to a 3 to 5:1 compression. Will Blackmagic produce a new camera? Who knows? I don’t think so, because they tend to create products that co-exist with their existing lineup of switchers and adapters. Goff Sony FS700 does 240fps and 4k and costs about 7k for the body. I have a long-term project that (based on Experience with a Hassleblad 50Mp still camera and Phocus for colour management i.e. Grading) has the following requirements. 3. Slow motion based on at least 200fps. Red Epica Dragon satisfies my requirements, but is too expensive. Any suggestions? Any rumours about a camera that might meet my need? Will Blackmagic produce a new camera with slow motion capability? Battery life is where the Tascam 60D suffers. The thing drains them pretty fast. But I can’t argue with the quality. Tomorrow morning we’re doing two interviews and I’ve ore-rigged the GH3 with the Tascam which can be wobbly on a tripod and this could be another negative. Very curious about how Panasonic couples an XLR adapter with the GH4. A modular design could be attractive. Sareesh Sudhakaran compass2k Cheers you seem to have the same sources as me. You have missed the Olympus LS-10 . I have been using both the zoom and the ls-10 and the zoom (actually two of them) have had weird quirks (intermittent buzz, cutting in and out) and power issues where the the LS10 has lovely sound , just gets the job done and barely ever needs battery changing. Liked the zoom’s xlr inputs mainly but after about a year of average use they became progressively unreliable and I have stopped using one entirely and the other only as 2nd source or reserve. JonathanHickman compass2k Sareesh Sudhakaran Quickly off topic – I’ve used Tascam DATs in the past and was looking at the HD P2 which has pretty well every feature a filmie would want at a very decent price. Any experience of this unit? I see BMD’s camera’s as aimed at cinematographers not stills photographers and more than documentarians or commercial videographers. As in (digital or celluloid) filmmaking onboard audio is rare and usually only required for reference I don’t see pro audio as being a priority for BMD right now. It might improve but ultimately only one man crews need onboard audio and the quality is going to be ENG-ish because of the limitations of gunsight directionality. I see BMD as aimed at RED and Arri’s lunchboxes rather than competing with hybrid stills/video cams or ENG kits. Works for me as a narrative filmmaker as I’m almost never going to use onboard audio in product and if BMD start bulking up their kit with crossover junk my interest will diminish. AI Wintermute4K is definitely going to be the future standard, whether we want it or not. TomnikI think it’s the limit of the sensor. compass2kJonathanHickmanSareesh SudhakaranNow that the GH4 has been teased, the market is getting more crowded. If the color space is improved to 4.2.2 with the GH4, it will make the decision to move to it easier. Of course, I wonder if the 4K with that color space will be in camera or implemented via an external recorder. As an aside, I rarely run the GH3 at 72 All-I opting for the very pleasing 50 instead. And my b-cam now is the G6, which produces a more yellowish image, from my experience. Both are performing well on my latest doc. The codec is very important. I’ve not had any experience with BM Raw, but it would make sense that it would produce a better image than from a more compressed file coming out of the GH4 (I’m no expert). And everything I’ve seen and read makes it clear that the DR is greater with the BM cameras. While color space is ultra important, DR may be even more important. This is where the BM4K will be the narrative “cinematic” choice, I would imagine. Seems like image is what you want out of a camera. Sound is way down the list. IDK, I would almost be willing to take slightly less video quality for IN CAMERA AUDIO. That is the biggest downfall of the blackmagic camera’s in my opinion. Specially now that the GH4 is expected to come in at half the price. I was originally looking at the BMPCC, but with all the inexpensive 4K monitors, I dont want my output to be dated in a year or two by not meeting the new standards. End of the day – use what you know and works till it fails. Metabones probably helps for doco – you pay to get the instant interface for live action. compass2kSareesh SudhakaranJonathanHickmanThe lens issue is interesting, however, I would have to buy all manual lenses with the BMCC and would likely go Nikon with the metabones. My wife shoots all Canon but her lenses are exposure by wire like my micro 4/3 ones. So, getting the MFT mount would make sense if I were to go BMCC (of course, it is passive, so my favorite Zuiko would be SOL, I suppose). Still, I would likely only use the BMCC for short work and for narrative films. I’m pretty wedded to the Panasonic for doc work. Storage is easily managed and the cams run forever even on a single battery. Sareesh Sudhakaran JonathanHickman I have heard nothing about the BMCC being phased out. I’ve been to a few BMCC events (they are just up the road from us here) and they seem to have targetted the market from entry level (pocket) to prosumer (cine) and enterprise/feature( prod/4k) . I suppose there is an argument with the same body essentially the BMCC could be phased out for the production camera but the production camera is twice the cost of the BMCC. ( 4K for $4K seems to have been only a marketing slogan) – and that’s a huge difference when you are buying. I haven’t heard of any new products (but BM do like to spring suprises ( and then unsurprisingly by now be very slow and late on delivery)) . If they were to drop the BMCC they would have to have a reduced cost version of the BMCC or some enhanced version of the pocket camera. Another consideration is glass. You can use 16mm glass on the pocket and BMCC micro 4/3rd cams but would have to put out for new lenses if you went production camera. That would be a huge discouragement for me I know as my 16mm glass is my largest investment and something BMagic pitched to with the M4/3 format. There should be some more used BMCC’s coming on the market as people trade up to the Production camera. The interesting thing to me is my pocket camera is essentially as good as the BMCC in practice – the pictures are about the quality so that should put pressure on the BMCC but knowing camera geeks they will go for the more shiny gear regardless of the realities of final product ;)..
JonathanHickmanI’m not sure the price of the BMCC will fall any further. In all likelihood, the product might be phased out. The cool thing about the BMCC is that at 2.5K, you can uprez to 4K and it won’t look so bad. I wonder what the eventual shipment of the BM 4K will have on the price of the BMCC? I have a client who has preordered the BM 4K and has been eagerly awaiting it for his green screen feature. Personally, I use the GH3 for my doc work, but I’m keen on picking up a BMCC on the cheap. Sure, it’s already under $2k, but do you think it will fall even further this year? Also, the endless 4K vs. 2K vs. 1080p debate is still with us (and will be for a good while). The BMCC combined with RAW falls a bit in between. Seems like it would be a fine compromise for ultra low budget narrative filmmaking and in most ways superior to the Canon DSLR option. This is especially true with the explosion of streaming distribution where 4K is less important. compass2k I think Panasonic has lost their way a bit with video. They’re a big company, so they might bounce back. It’s simply tough to believe the company that gave us the HVX200 and the Varicam doesn’t have anything up their sleeves. 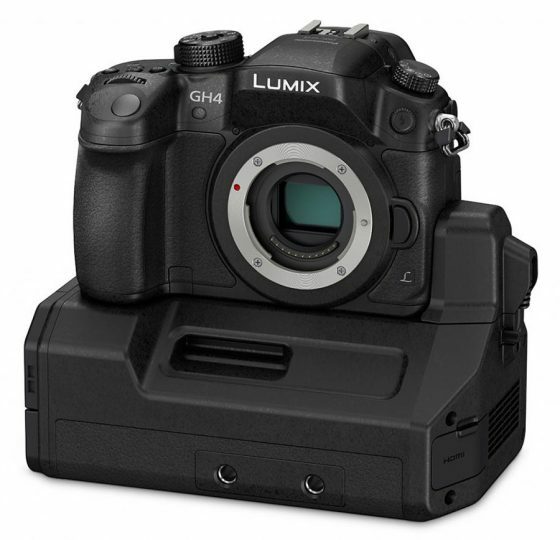 The GH4 might have a surprise – I wonder why it needs 4 SDI ports? Agree with your summary – I think that’s precisely blackmagics deliberate advantage – dedicated cinematic video digital workflow (or should we say wolfcrow) .. Panasonic still seems to want to have some appeal to still photographers . Hammers for nails.